Happy New Year! Welcome to the Retired--Now What? Blog. If it’s “Welcome back,” you likely know that I regularly blog about research studies I think you’ll find of interest, and on occasion, I blog about science and scientists. A recent report from Rice University opened a science-related topic I’ve never touched on: How scientists view religion. If you’re not familiar with the Rice researchers’ earlier studies on the topic, the findings may surprise you. The researchers sought to obtain a representative sample of scientists’ views on religion, ethics and how both intersect with their scientific work. Toward that end, they collected online survey data from over 9400 biologists and physicists, who were working at different stages of their careers at elite and non-elite universities and research institutes in eight countries–the U.S., U.K., France, Italy, Turkey, India, Hong Kong and Taiwan. The researchers also traveled to these countries to conduct in-depth interviews with over 600 of the scientists. Science and religion by Einstein. While scientists are commonly thought to be atheists, that’s far from what the researchers found. Over half the scientists surveyed in India, Italy, Taiwan and Turkey, for example, self-identified as religious. Turkey had the lowest percentage of scientists who identified as atheist, 6%, with nearly 85% responding that they believed in a higher power. Although scientists do tend to be less religious than their resident population, that’s not always the case. In Hong Kong, the percentage of scientists identifying as religious is about double that of non-scientists (that’s also true for those identifying as atheists). In Taiwan, 54% of scientists self-identified as religious compared with 44% of Taiwan’s general population. 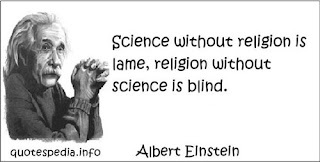 Scientists who believe science and religion are in conflict were in the minority. In the U.K., 32% of scientists characterized the science-faith interface as one of conflict. The percentage was 29% in the U.S. and even lower in the other countries surveyed. In India, Hong Kong and Taiwan, about a quarter of the scientists believe science and religion can help one another. The researchers’ on-site interviews were useful in capturing nuanced views. 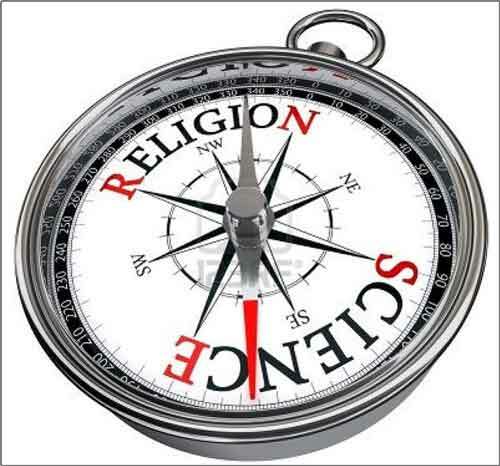 For instance, numerous scientists commented on religion providing a check in ethically gray areas, such as when one might be tempted to take a shortcut to have something published. The Rice group’s earlier studies showed similar results. For a 2014 report, the researchers conducted a nationally representative online survey of Americans, which generated data on 9138 respondents, 574 of whom were identified as scientists. In addition to the survey data, the researchers conducted 315 in-person or phone interviews. 14% read the bible at least once weekly besides for services, compared to 17%. The difference in one response did stand out. While 55% of the general population had no doubt that God exists, only 36% of scientists were certain. While it seems clear that the religious leanings of scientists aren’t markedly different from those of the general population, the trends in the general populations are significant. A Pew Research Center’s survey of 35,000 Americans found that those who self-identify as atheist, agnostic or “nothing in particular” increased from 16.1% in 2007 to 22.8% in 2014. This parallels a decline in Christians from 78.4% of the U.S. population in 2007 to 70.6%. I'll explore the younger adult trend away from religion next Tuesday. I hope you’ll be back. Thanks for stopping by.